How to Identify Pinchbeck Jewelry? Pinchbeck is a metal alloy that is mainly used for manufacturing jewelries. 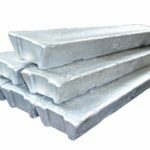 Read on to know more about this metal and its uses. It is a type of Brass or a Zinc (Zn) and Copper (Cu) alloy. These days, the word usually represents “a cheap imitation”, but the original word refers to a Zn and Cu alloy that looks like Gold. Christopher Pinchbeck, a London watchmaker, was the first person to discover this metallic alloy. This new alloy looked almost exactly like Gold and was named after its inventor. It is assumed that he made jewelries using this new alloy and clearly labeled them as “Pinchbeck Jewelries”. During the eighteenth century, this alloy was widely used in jewelries instead of gold. These ornaments looked like they were made of gold, but were much less expensive. They were a great favorite, especially with the Georgian and Victorian people, as they reduced the risk of theft. Rich people used them as “travelling jewelries”. These jewelries were also widely used for theatrical purposes. 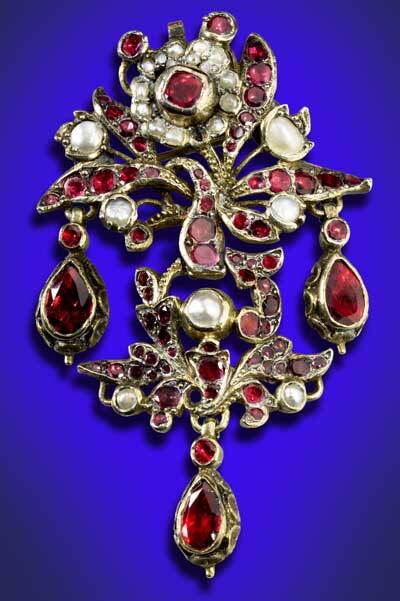 Sometime during the early nineteenth century, some dishonest jewelers started to pass off these jewelries as gold. As a result, this alloy came to represent a cheap gold imitation. It was however, still quite popular in the manufacture of costume jewelry. Other materials like 9K Gold, rolled Gold and other metal alloys replaced it during the mid-19th century. Since then, its use for the purpose has been discontinued. Try to find out the year the jewelry was manufactured. This material was not used in jewelry making after the 1840s. So, if the piece was made before the mentioned period, there is a good chance for it to be Pinchbeck. Examine the piece in natural light. It does look like it is made of gold in normal light; but a coppery glow can be noticed in natural light. Signs of wear and tear (flakes, dents and greening etc) can also be noticed in it because it contains Copper. A “Pinchbeck Watch” may denote a watch made by the London clockmaker Christopher Pinchbeck or his son, also named Christopher Pinchbeck, who was in the same business. Pinchbeck Jr. was the royal watchmaker for King George III of Great Britain. He made an “astronomical clock” for the King. It still exists and is presently placed in the Buckingham Palace. 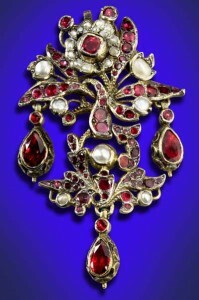 Even though it is an imitation of gold, great workmanship can be noticed in the jewelries made of this alloy. 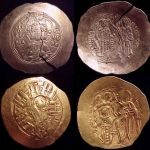 Many of these pieces are considered as antique pieces and are quite valuable.